Unit 3, Hollands Lane, Henfield, West Sussex, United Kingdom. BN5 9QY. 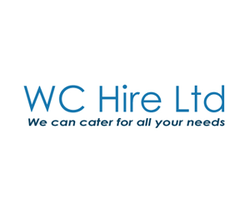 Welcome to WC Hire Ltd, Portable Toilet and Urinal Hire throughout Sussex. We have built a reputation for quality products together with efficient service in everything we do and can offer a wide range of products to suit your needs. Based on the outskirts of Brighton we are ideally placed to help you make things work simply. We have worked hard to gain our excellent reputation and are known for our reliability, honesty, and above all professionalism. We are always monitoring our performance and looking to expand by understanding what the customer wants to ensure we deliver satisfaction time and time again.